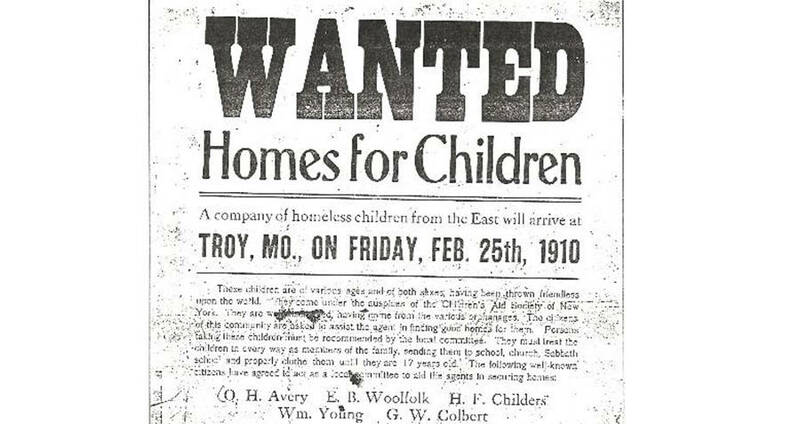 Before there was modern-day adoption, there was the Orphan Train, which transported kids around the country and into the arms of families more often looking for laborers than children. 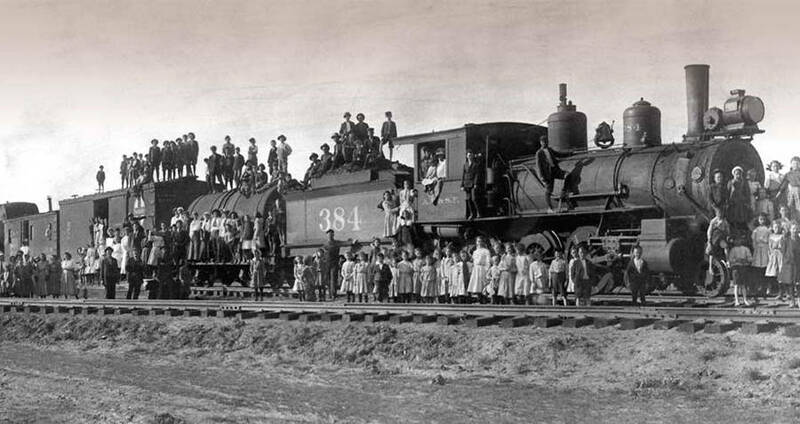 Kansas State Historical SocietyAn orphan train arrives in Kansas. The Orphan Train started out as a humanitarian endeavor to pluck children out of the slums and off of the streets and send them to good homes in the Midwest. There, they would learn to work, gain skills, and ultimately populate an otherwise underserved area of the nation. It was never supposed to be a child’s worst fear. But for the 200,000 children that stepped off the tracks onto foreign ground and into strangers arms, that’s exactly what it became. In 1849, the Orphan Train’s founder, Charles Loring Brace, arrived in New York City. As a Presbyterian minister, Brace felt it was his duty to “evangelize the poor.” And, of course, there was no place better to find the poor than mid-1800s New York. The Five Points district of Manhattan had been ravaged for decades by gang activity, leaving hundreds of people displaced, and turning the neighborhood into America’s first slum. By 1850, at least 10,000 – possibly as many as 30,000 – children were living on the streets. To combat the rising homelessness, Brace founded the Children’s Aid Society. The society began by offering young boys bible study classes, academic instruction, and organized meals. Eventually, the society began a shelter for boys, known as the Newsboys’ Lodging House. However, the lodging house had not accounted for the high number of boys it would eventually hold. Before long it was overrun, and Brace was looking for alternative options. Wikimedia CommonsWanted poster advertising for families. As more and more children came to him looking for food and shelter, Brace began to believe that they might be better off outside of New York City, where they could have access to more resources and education. As he searched the country for cities with families that were willing to house degenerate “street rats” and abandoned babies, he noticed that there was also a rising need for labor in the Midwest. The center of the country was home to many farmers who were working tirelessly to maintain their ever-expanding farms. Brace believed that these farmers would jump at the chance to welcome the children into their homes, as it would mean more labor for them. However, despite the shiny promise of a new life in the Midwest, an exotic land filled with fresh air, clean clothing and loving families, the Orphan Train brought more controversy than happiness to the children it transported. The first Orphan Train was outfitted in October of 1854 and transported 45 children from New York City to Dowagiac, Mich. For four days the children had been cramped into a small, chilly train, accompanied by only one adult, an E.P. Smith from the Children’s Aid Society. Along the way, Smith had offered up two of the children aboard the train to men in a riverboat, who claimed to be looking to adopt. Another boy had been picked up in Albany, claiming to be an orphan, though that was never verified. According to Smith, upon arrival in Michigan, those hoping to pick up a child had to have letters of recommendation from pastors. However, there is no record of these papers being verified or even checked by Smith. Out of the 45 children who arrived on the Orphan Train, only eight were left by the end of the day. Those eight were sent alone on a train to Iowa, where they were placed in a local orphanage. The reverend who ran the orphanage claimed they were adopted, though no records exist to prove it. 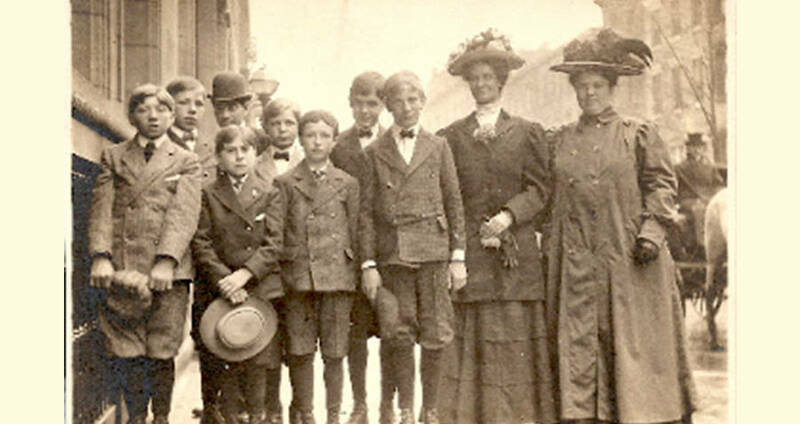 Riding high on the “success” of the first Orphan Train, several more were organized. Over the next 75 years, more than 200,000 children were moved from New York City to towns not only across the Midwest but in Canada and Mexico as well. However, while those on the outside looking in saw the trains as a wonderful solution to the rising homelessness problem in the slums, the things the trains represented were much more grim for the children themselves. Public DomainA group of children from the Children’s Aid Society await adoption. The conditions on the trains were relatively bleak. Overcrowded, rarely heated, and hardly regulated, the trains would often not stop for days at a time, and the children were not always fed more than once a day. Then, there was the children themselves. Though the trains were called “Orphan Trains,” many of the children weren’t orphans at all – at least 25 percent of them had two living parents still in the city. On top of that, most of the children who found themselves on the train were forced apart from any siblings or friends that they were traveling with. If a family at the train’s destination only wanted one child, they didn’t take into account the fact that the child had living relatives, sometimes sitting right next to them. The children also faced the prospect of not getting into a loving family, but one who was only searching for extra farm laborers. Though they realized later in life that their ordeal ultimately saved their lives, the experience would never be considered a pleasant one. Eventually in 1929, the onset of the Great Depression ended the Orphan Train program, as funding fell and families were struggling to feed their own members, let alone taking on more. Though the Orphan Train caused controversy, it did pave the way for its modern-day successor, the foster care system. Inspired by the Brace’s notion of placing downtrodden children into families that could care for them, rather than into institutions, the city of New York created a similar – though much more carefully vetted – system, that is still in place nationwide today. Next, check out the story of the “Titanic Orphans” who made it through the tragedy all by themselves. Then read about the hard work done by child laborers in the early 20th century.